Near fine copy, tiny corner crease at lover right of front cover. Walter Rauschenbusch (1861-1918) was the major theological exponent of the social gospel movement in American Christianity. This new biography examines Rauschenbusch's life and career and assesses his impact on American religious and intellectual history. 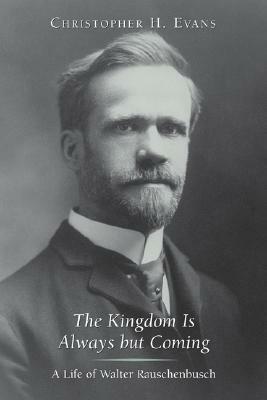 Drawing on a rich range of primary sources, Christopher Evans examines all facets of Rauschenbusch's life, from his upbringing in a German-American immigrant family, to his early ministry amid the tenements of Hell's Kitchen in New York City, to his rise as one of the most influential religious leaders of his generation. In the process, Evans offers an assessment of Rauschenbusch's theology and shows the impact of personal struggles on his public ministry and intellectual development. Yet this work is more than a chronicle of one man's life and legacy; it also offers a superb look at American Christianity during the late-nineteenth and early-twentieth centuries. By placing the story of Rauschenbusch and the social gospel movement at the center of the American Progressive Era, Evans throws fresh light on the theological and ideological divisions that eventually split Protestant Christianity into liberal and conservative camps.